Does your makeup routine feel stale? Do you want to find a way to make your features pop? 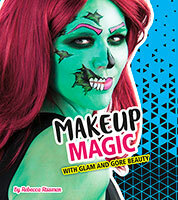 From extreme eyeliner to mermaid makeup, you'll find what you're looking for here!